More Darfuri refugees are due to arrive in Louisville at the end of March, and because of generous local support, we will be ready to help them! 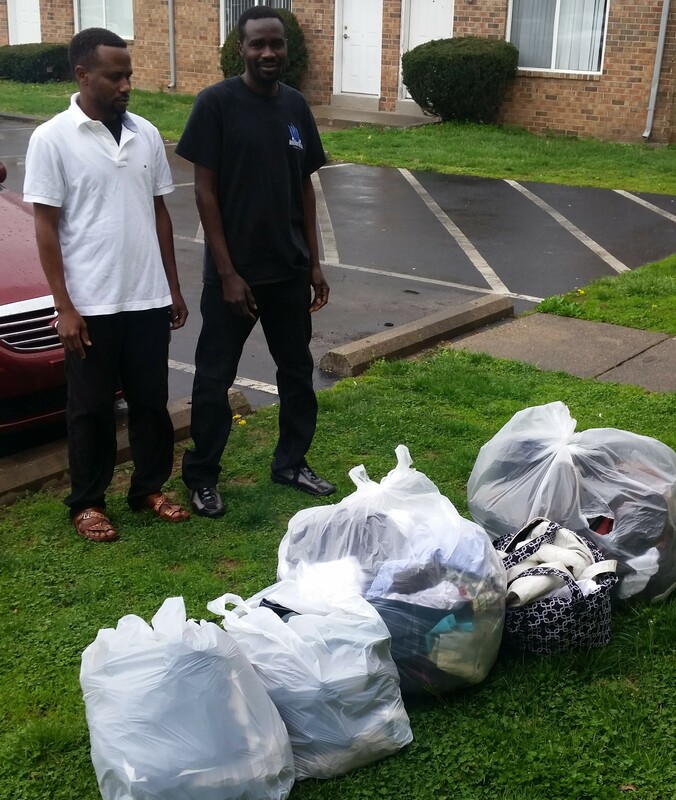 Two donors supplied us with towels, bedclothes, books, luggage, men’s jackets, slacks, jeans, dress shirts, T-shirts, casual shirts, athletic clothes, hats and shoes. Both donors are part of the Sudanese community in Louisville (about half of all our donations have come from Darfuris who have settled in the US). We now have ample supplies of men’s, women’s and infants’ clothes in storage in Louisville. Pictured below are DOHS President Khamiss Youssif (L) and Vice-President Mohammed Adam (who was also one of the donors) with the clothes and books we received on March 24, 2016. For a complete record of our clothing collection and distribution, click on the “Blankets, Shoes and Winter Clothing Collection” tab beneath our title above.